The Rev'It! Chevak Gore-Tex glove is a longer cuff glove that offers protection and warmth at an impressive price point. The Chevak uses a Gore-Tex membrane, offering you an almost unrivalled combination of waterproofing and breathability. That liner is backed up by an insulating Thermolite high loft fur liner to keep the cold out and the warmth in. The Chevak's outer shell is built to protect you while on the bike: the back of the hand is constructed from Revit's proprietary PWR shell Ripstop stretch, which has excellent abrasion resistant capacities. Combined with a goatskin palm that wraps around the fingertips and a visco-elastic knuckle protector, this makes for a very sturdy yet flexible glove. 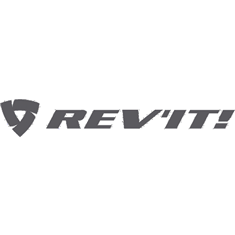 Revit's single motion wrist adjustment system makes it a breeze to tighten or release while wearing your gloves and the Connect finger tips mean you won't even have to take them off when operating a touch screen.